– Fifteen 3.5 oz beef patties layered with cheeses (called the OOMG Burger). – They use Cheddar, American, and Pepper Jack cheeses. 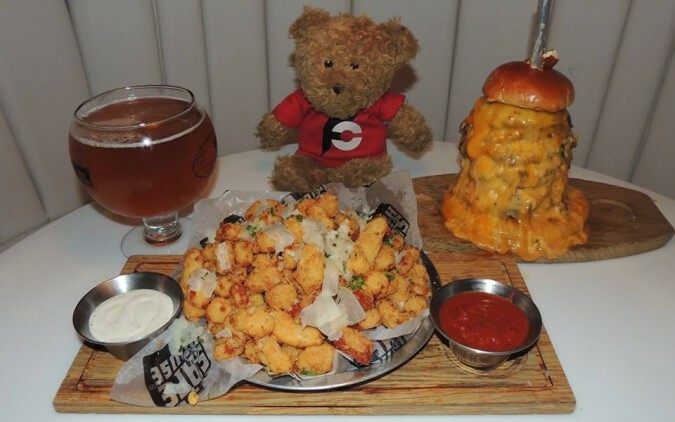 – Served with 2 pounds of delicious cheese curds. – The challenge includes a 51 oz proprietary code beer. – There is a 1 hour time limit to finish everything.